These packages are geared toward middle and high school students. Each package is correlated to a Corrective Reading Decoding Level and contains appropriate MHE reading titles. 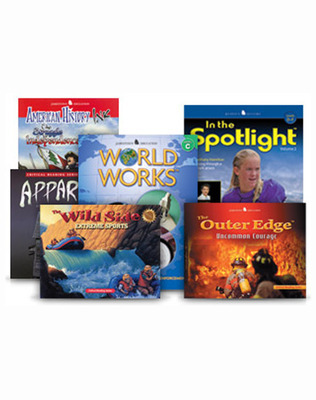 Packages include reading level-appropriate titles drawn from several different series and may include titles such as American History Ink, In the Spotlight, The Wild Side, The Contemporary Reader, and more!